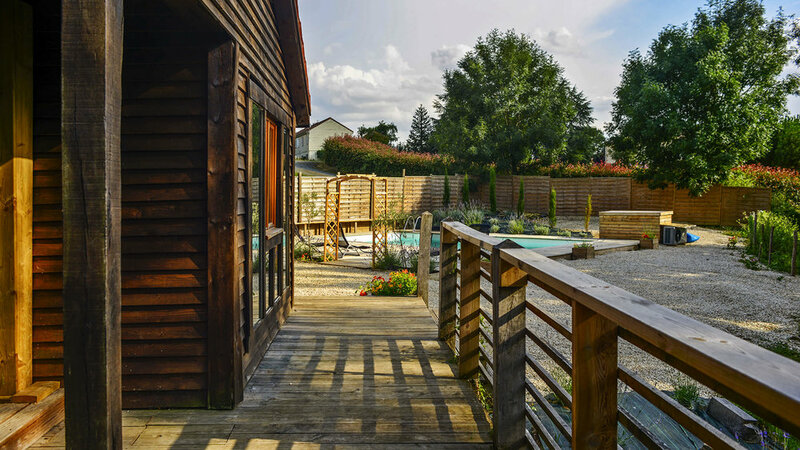 A superb holiday home with a large heated pool, nestled in its own woodland within the Mervent Forest. This fantastic property has been recently built meaning that you benefit from completely new furnishings, with a light and airy finish. This property offers 8 good sized bedrooms. An amazing outdoor eating area with a bespoke wooden table overlooks the pool and decked area to one side and the forest to the other. 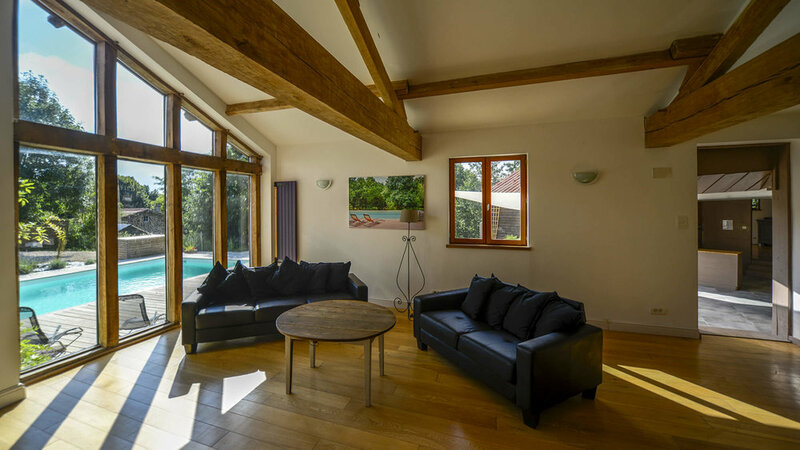 The house is a mixture of traditional timber frame and beautiful oak frame glazed panels, which benefit from glorious views over the forest and river. The Mervent river is just 200 metres away where you will find a bar/restaurant with boating and water sports, and boats readily available to hire. There are over 200 km of beautiful and well-marked walks, cycle paths and horse-riding trails through the forest itself, which is spread over 5000 hectares. Wifi and Sky TV are available. There is easy access to the beach and all the other great attractions the Vendee has to offer, for example, the great attraction park of Puy du Fou. 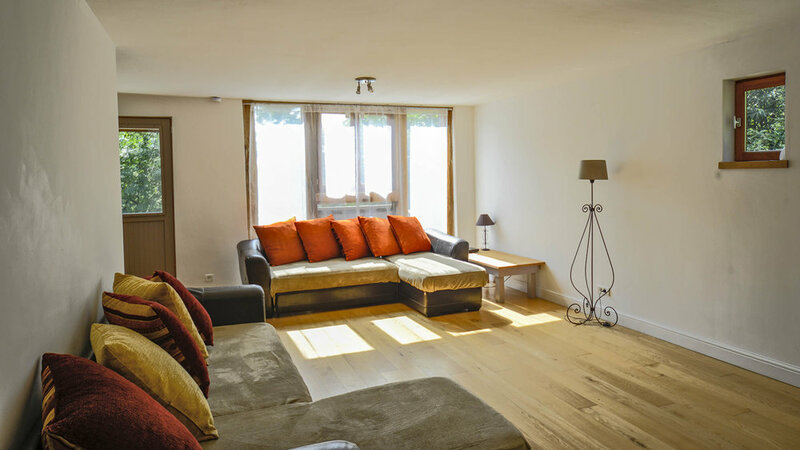 Sleeps 18+ 8 Bedrooms, 5 Bathrooms, 1 Separate Toilet, Parking. 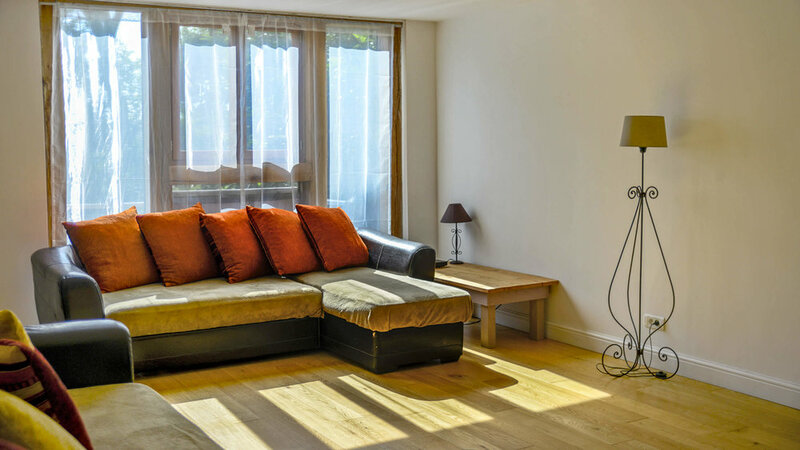 Garden, Heated swimming pool, Barbecue, Internet, Dishwasher, Washing machine, Towels and linen provided. 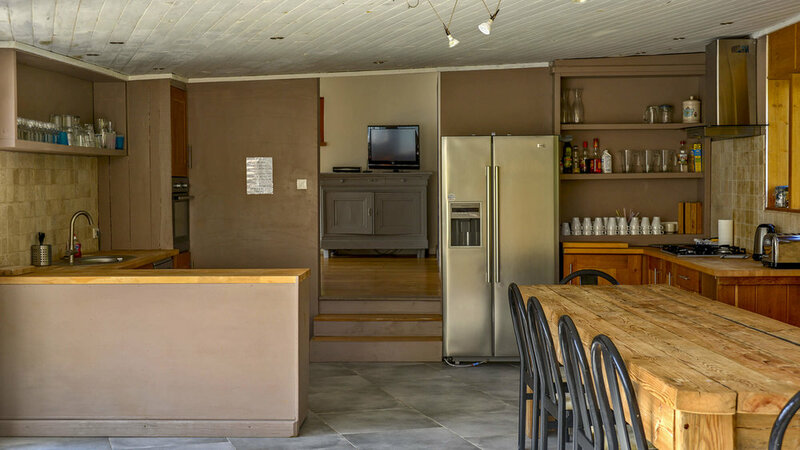 This fantastic 8 bedroom property has 6 double bedrooms, 3 of which are ensuite, 2 bedrooms with one set of bunk beds in each for the little ones and a further 2 bathrooms. There are 2 z beds that can be moved around the property to suit your needs.v A travel cot is also available. There is a fully fitted bespoke oak kitchen with an enormous dining table that overlooks the pool and terrace area. There are 2 spacious and light living rooms, ensuring plenty of room to just kick back and relax with plenty of personal space. Both these sitting rooms have bespoke oak framed full length windows. Large heated pool with alarm. Fishing permits are available in the local shop. 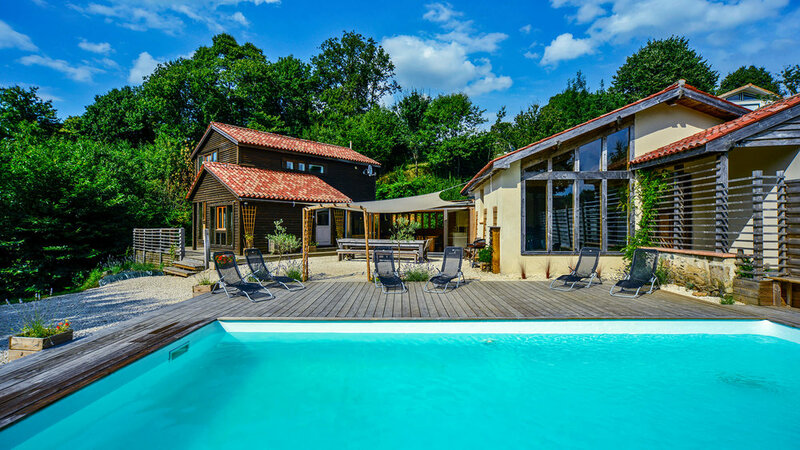 Mervent has many attractions ‒ adventure park Pierre-Brun, a Zip-wire park, kayaking, canoeing, pedalos and boating, a zoo, mountain biking and many delightful walks. Vouvant is listed as one of the top 10 most beautiful villages in France and is well worth experiencing. There are many artists' studios open in the summer as well as an incredible church dating back to the 11th century. Walk along the river under the ramparts or take a pause in one of the lively bars and restaurants. Mervent is situated in the Vendée (Pays de la Loire region) in the west of France at 53 km from La Roche-sur-Yon, the department capital. This is the closest village at 1.7 km with all amenities such as post office, boulangerie and village shop. There are various golf courses to visit within roughly an hour of the property including La Rochelle, Les Sables d’Olonne and Niort. We all had a great time and would highly recommend this property. The house is lovely and the pool area is superb. We went down to the bar each night for aperitifs which is basically at the end of the garden then be back for bbq's by the pool. We have rebooked for next year 10/10. We had a wonderful stay and enjoyed exploring the area. The pool is great and the kids really enjoyed it. We were 8 adults and 8 children and there was ample space. We will be back for sure! We all had a great time at this property and an exceptional break was had by all. The pool was thoroughly enjoyed with the great weather by everyone and got a lot of use. Some great local restaurants and plenty to do in the forest. We will be back next year. Many thanks to Matt and Em from vendeeholiday.co.uk who were always on hand and extremely professional from the first enquiry.